Destination Lesotho, officially known as the Kingdom of Lesotho and the “Kingdom in the Sky” is a landlocked country situated in the south of Africa. Accessible from Durban and Johannesburg, either or a visitor or an expat you shall get lost in the beautiful landscapes of Lesotho. A rich cultural background, mountains, valleys and rivers promise an unforgettable panorama for all nature seekers. There, you shall be welcome by fantastic friendly and openhearted people and as bonus offers 300 days of sunshine in a year. 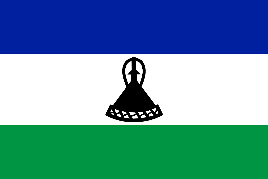 Lesotho has a population of 2 million inhabitants. All live in a safe and non-violent environment. WHAT SHOULD I KNOW ABOUT LESOTHO? Somehow linked with South Africa, the economy of Lesotho is based on agriculture, livestock, manufacturing and mining. However, the manufacturing industry is now the leading sector in the country with the export of clothing, textile, and leather. Lesotho is grateful in natural resources water and diamonds, are both extracted and is exported. Even if the mining and energy sector does not have a developed industry, Lesotho is a source of diamond and among the country’s export. However, the tourism industry is an expanding sector, with the national parks, the panoramas and natural activities it offers, Lesotho as a dream destination. Lesotho is home to the highest altitude pub in Africa at 2874 metres above sea level. It’s located right at the border with South Africa, and the end of the iconic Sani Pass (or the beginning if you come from Lesotho). A cold beer is very welcome when driving this scenic pass starting in South Africa and to top it all off, you’ll have an amazing view from the top (while sipping that cold beer). Maseru is the official capital city of Lesotho and the largest city of the country situated along the Caledon River in the south. It is an administrative town where the political and commercial activities are held. The town of Maseru will offer to its visitors a variety of restaurants, craft markets and some numerous outdoor activities such as trekking, hiking, horse rides, national parks and unique colonial infrastructures. Everything you need for a perfect time in this beautiful and safe country. Lesotho has two official languages, English and Sotho. Both are widely spoken by the population. However, English is kept for official functions for example when dealing with international business duties and the Sotho language is used in politics, religion, and media.